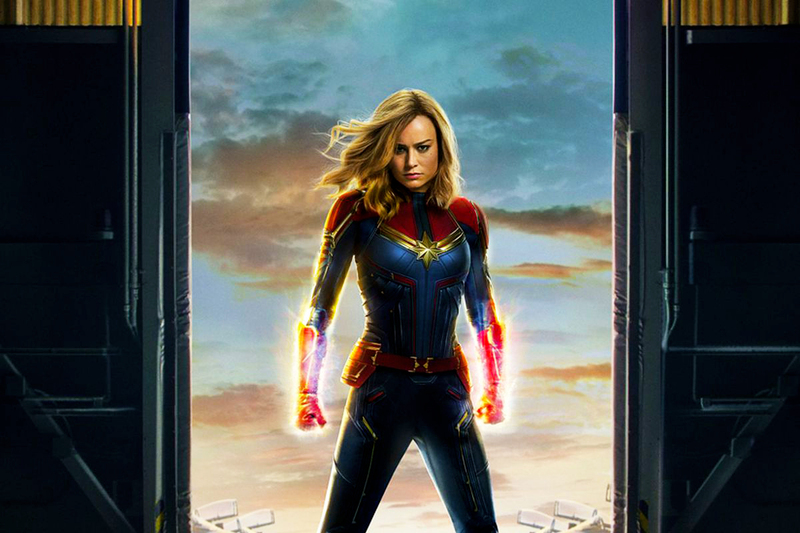 The latest chapter in the Marvel Cinematic Universe’s ever expanding list of titles is a superhero origin story seemingly just like any other the MCU has made so far, with one notable difference: this superhero is a woman, Carol Danvers. This, of course, was a difficult concept to grasp for many fans (as we all know, it simply isn’t realistic for women to have superpowers), and the film was the target of review-bombing (when reviewers give a film poor ratings before it is released), forcing film aggregator site Rotten Tomatoes to change their reviewing policy to not allow pre-release reviews. However, it turns out that women CAN be superheroes, and make a pretty good movie at the same time. I’m going to try to avoid spoilers here, because the MCU has a larger fanbase than the independent films I tend to review (sorry for spoiling “Colette” for you, Salem College community) and I don’t want anybody to get mad at me. After a clunky first act (setting up character arcs is always difficult, but made even more so when the characters are aliens and suddenly, American film legend Annette Bening shows up as a mysterious manifestation of the so-called “Supreme Intelligence”), the film jolts us back to 1995, where the real fun begins. By far, the strongest aspect of the movie is Carol’s (Brie Larson) relationship with a digitally de-aged Nick Fury (Samuel L. Jackson). The dynamic between the two of them is reminiscent of a superhero-esque buddy cop movie, and it makes the whole thing hugely enjoyable. What “Captain Marvel” has that other Marvel movies don’t (besides a cat and Jude Law) is female friendship. Guys, female friendship rocks, and it rocks even harder to see it portrayed in such a hugely successful film franchise. Carol and her best friend, Maria Rambeau (Lashana Lynch), are utterly charming together, and it’s a delight to watch them share a screen. Women are so powerful. This movie was just fun. It was fun to see Brie Larson fight aliens while No Doubt’s “Just a Girl” played (spoiler, if you wanted the soundtrack to be a secret), it was fun to see Maria Rambeau’s daughter help Carol pick her new superhero suit, but most of all, it was fun to walk out of the theater and know that there are going to be little girls dressing up like Carol Danvers for Halloween for so many years to come. Marvel has had female characters, yes, but none as developed as her. As always with a Marvel movie, be sure to look out for Easter eggs and, of course, stay past the credits.